And an ultimaker original with a controlled heated chamber. 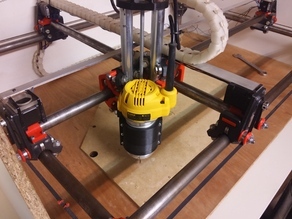 Say thanks and help kwintberg continue to share amazing Things with the Thingiverse community. You'll need a PayPal account to tip kwintberg. Click the button below and you will be redirected to PayPal. Once the payment is complete, you'll be brought back to Thingiverse.